A Greenbottle Blue painting? Why not! In my free time, I do illustration for work for magazines and small press book companies. Most of my work falls in the horror/dark fiction genres, which I enjoy, but I’m always looking for an opportunity to work outside of my comfort zone. 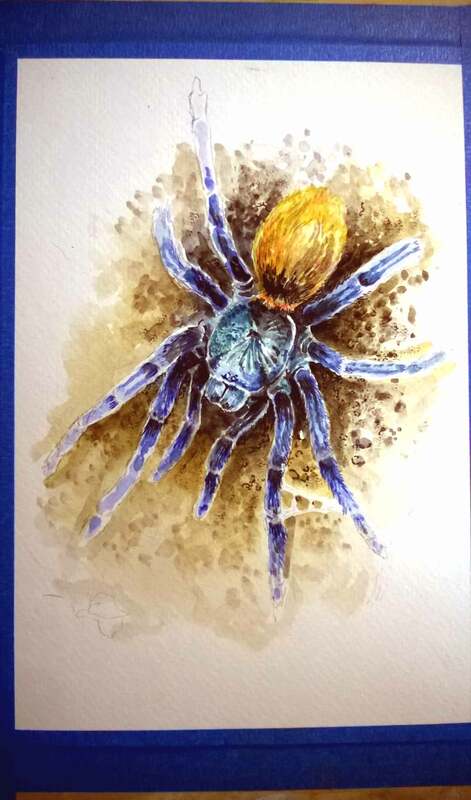 Since getting into the tarantula hobby, I’ve toyed with the idea of painting one of the more colorful species. Well, today I gave it a shot. 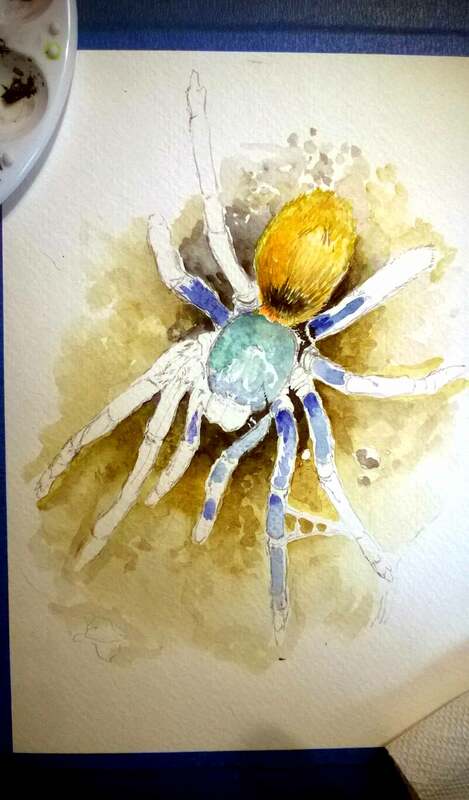 I decided that my first attempt should be a C. cyaneopubescens, or Greenbottle Blue (GBB for short). 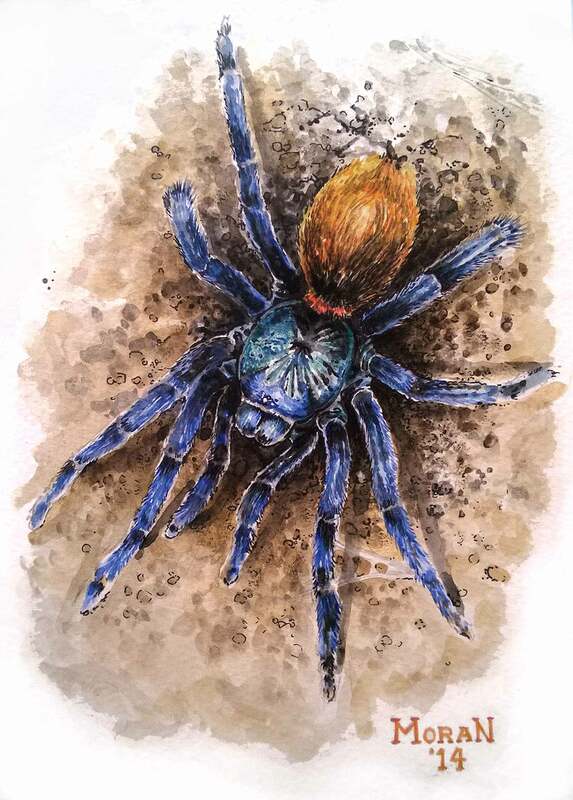 This tarantula sports such beautiful blues and oranges that it almost looks photoshopped. I figured this would make for an interesting color palette. For a medium, I used watercolors with some ink to bring out the details. 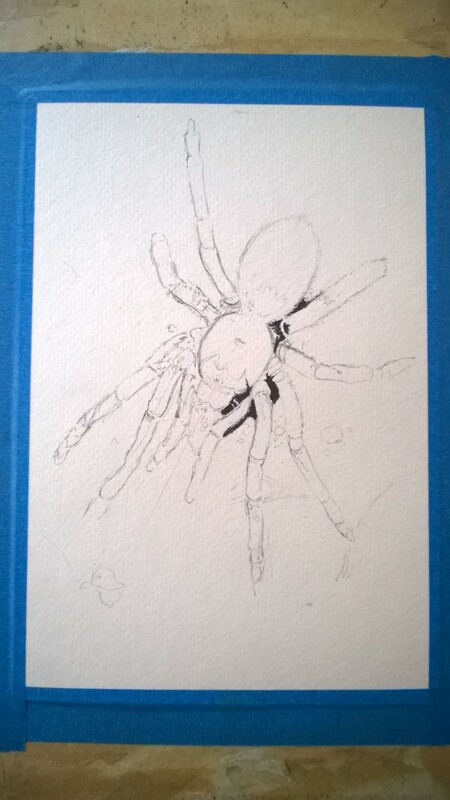 After taping my paper to the drawing board, I used pencil to sketch out the general shape of the tarantula. Building up the layers of watercolor to give the painting more depth. Getting closer to completion. The layered colors are started to look richer and deeper. Although I’m still tweaking it (I tend to be obsessive), the painting is pretty much done. Very nice painting. Creepy subject!